What is cataplexy? It's an uncommon, peculiar, sporadic, and potentially serious disease—one that disrupts your life if not treated with the right medications and lifestyle changes. Cataplexy, according to the Sleep Foundation, is a "sudden and uncontrollable muscle weakness or paralysis that comes on during the day and is often triggered by a strong emotion, such as excitement or laughter." While temporary, it can result in a sudden fall, or a "drop attack." First, we should clear up misconceptions about cataplexy. It is not an inherited condition, even though up to 10 percent of those with cataplexy have close relatives who show symptoms. And it is not a seizure disorder, though it is often misdiagnosed as one. Unlike a seizure, people with cataplexy usually remain conscious and remember what has happened during an episode. The immediate causes are the emotional triggers mentioned in the first sentence of this post. Causes also may include anxiety, happiness, excitement, sadness, annoyance, surprise, fear, and stress. Laughing may be the most common trigger. The underlying cause of cataplexy is unknown, but we do know that it is a neurological condition. Among people who have narcolepsy and cataplexy, there is a loss of brain cells that produce hypocretin, also called orexin, a neurotransmitter that controls the sleep/wake cycle. Although cataplexy is most often associated with narcolepsy, it has also been associated with stroke, multiple sclerosis, head injuries, and encephalitis. Cataplexy may be linked to a dysfunction in the immune system, but that has not been firmly established. What Are the Symptoms of Cataplexy? For cataplectic people, symptoms may begin in childhood or early adulthood. They vary from person to person, and triggers are different for each individual. Episodes vary from mild to severe—mild enough that it’s barely noticeable and severe enough to cause a full body collapse. Cataplectic episodes usually last a few seconds to a few minutes. The frequency of episodes ranges among individuals from several per day to less than one per year. A cataplexy patient’s medical history and description of possible cataplectic episodes are important for an accurate diagnosis. When narcolepsy is suspected, a sleep study may be ordered, followed by a test to determine whether sleep the previous night may effect daytime napping. 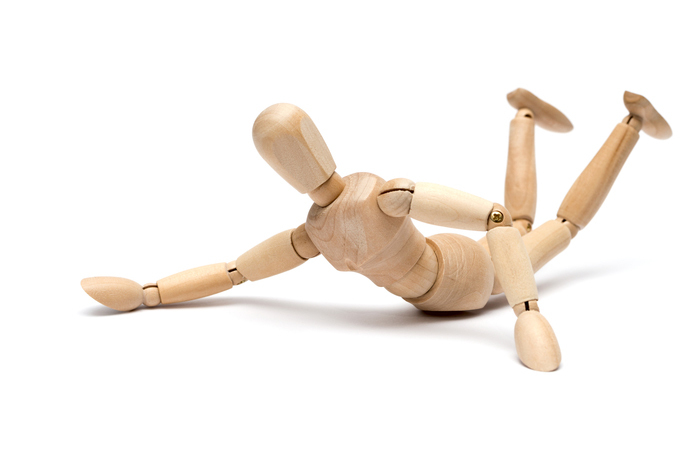 Physicians treat cataplexy in two ways, generally: medications and/or behavior modification. Keep in mind, though, that cataplexy can only be managed, not cured. Remember, too, that medications have side effects, and that behavior modification may require lifestyle changes that affect normal activities of living. Medications: The drug approved by the U.S. Food & Drug Administration specifically for the treatment of cataplexy is sodium oxybate, which has been shown to reduce the frequency and severity of episodes. However, it is a strong sedative and its distribution is tightly restricted.Other medications are tricyclic antidepressants such as clomipramine, imipramine, and desipramine. Venlafaxine, in a different class of antidepressants, may also be recommended. Behavior modification: Perhaps the most important thing a cataplectic person can do is to be aware of the symptoms and avoid situations that cause them. Start by making sure that you won’t hurt yourself if you collapse and fall. Let your friends and family members know that you have the condition and what to do when they notice symptoms.Also, avoid driving a car when possible, and be aware of activities that involve heat or dangerous objects, such as stoves, devices with sharp edges, and lawn/yard equipment. Try to establish a consistent sleep schedule with enough quality sleep hours to make you feel refreshed. What Is the Prognosis for Cataplexy Patients? If you’re a person with cataplexy who rarely has an episode or who has very mild symptoms, you may not need medical intervention. But if you have frequent or more severe symptoms, see a doctor who has experience in treating cataplexy to discuss medical and lifestyle options. The consequences of not getting treatment are too dangerous to ignore. antidepressants, anxiety, brain, cataplexy, daytime sleepiness, depression, flu, food, immune system, multiple sclerosis, muscle, napping, narcolepsy, neurotransmitter, seizure, side effects, sleep, sleep schedule, sleep study, strength, stress, stroke, tricyclic antidepressants.